India-based provider of e-learning and change management software Gieom Business Solutions has become a Temenos certified fintech provider for “operational efficiency and regulatory compliance”. Gieom’s cloud-based platform will now be available on Temenos’ MarketPlace store that can be accessed by over 2,000 customers of Temenos and its subsidiaries. The announcement was made at Temenos’ annual conference, Temenos Community Forum (TCF), held last week in Barcelona. Founder and CEO of Gieom, John Santhosh, says the vendor’s association with Temenos is “a giant leap to our vision of bringing quality time back in the lives of employees in every workplace”. 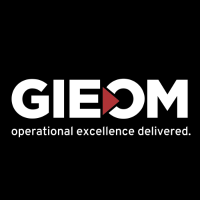 Gieom – which stands for Graphical Intelligent Electronic Operations Manual – was founded by Santhosh (who comes from an I-flex/Oracle FSS background) in 2008. Union Bank of Nigeria, working with Flexcube. Speaking about the Gieom project last year, Yomi Akinade, CIO of Union Bank, commented that the bank was originally thinking about deploying Oracle’s own offering in this space, User Productivity Kit (UPK). However, having UPK would have meant having a full-time developer on site, said Akinade, whilst Gieom could be easily rolled out by the bank’s own team. “It is fast to deploy, easy to use and is fool-proof thanks to its visual environment,” he states. “Gieom is now our go-to application and knowledge transfer.” It has also been used for Oracle’s BI, ERP, compliance and AML systems, and Microsoft Dynamics CRM at Union Bank. Shahazana Shaari, head of ICT services at SME Bank, also commented positively about Gieom. She highlighted the paperless nature of the set-up (SME Bank is keen on “going green”), the use of live data and providing an experience close to running the actual system. “The users say Gieom has a ‘wow factor’,” she noted. What’s the pricing of the licence ? Business automation software vendor Automic Software has inked a deal with Temenos to make its Automic Workload Automation available on the Temenos MarketPlace store. Swift's innovation-focused spin-off Innotribe has announced the five Singapore finalists for its global startup challenge, which aims to help innovative new companies in financial services to develop their ideas and transform them into working businesses.